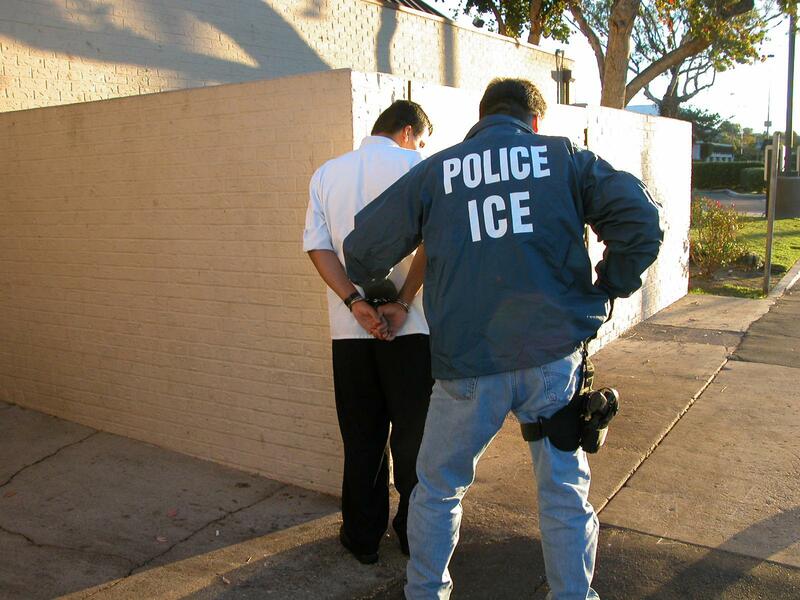 File photo of a U.S. Immigration and Customs Enforcement (ICE) arrest. Authorities say approximately 30 people have been taken into custody after a raid by U.S. Immigration and Customs Enforcement agents at a North Carolina manufacturing plant. A statement from the Lee County Sheriff's Office on Tuesday said the raid on the plant in Sanford was the result of an ongoing investigation into identity theft and fraud. The statement said the sheriff's office assisted ICE agents at the request of federal officials. The statement didn't identify the plant, adding that it is unclear if the plant is at fault. Also, the sheriff's office said the raid was not a random operation.